Heathrow’s Online Flight Connections Planner Is a Handy Travel Tool You Might Not Know About! Want more travel tips and tricks? Then subscribe to our daily newsletter! On a recent trip to Portugal, my family and I had a layover in the London Heathrow airport. The layover was short, and I was skeptical about our chances of making the connecting flight, especially given I was traveling with my toddler. Luckily I stumbled upon the Heathrow Flight Connections guide, an online tool that helps you plan your flight connections. It’s super straightforward and easy to use and gives you step-by-step directions on how to make it from one gate to another. Along with an estimate of how long it will take you to travel through the airport. My home airport is tiny, so the thought of spending hours just to get to a connecting flight seems crazy. But it isn’t when you’re traveling through one of the world’s busiest airports! 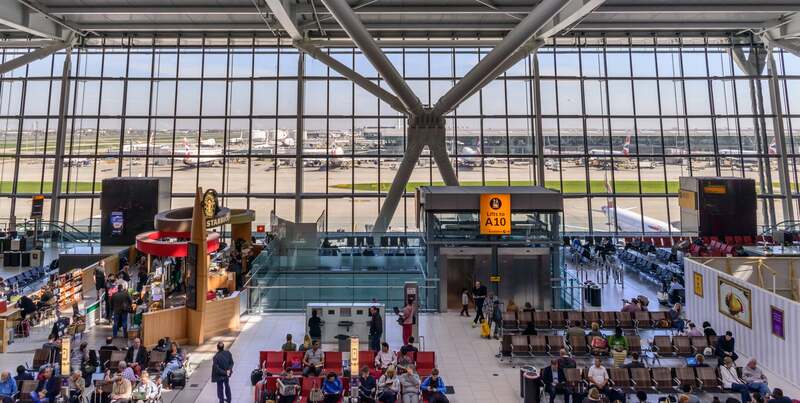 According to Airports Council International, Heathrow is the 7th busiest airport in the world. In 2017 it saw more than 78,000,000 passengers! So yeah…it’s wise to keep an eye on connection times so you aren’t doomed before your trip even begins. 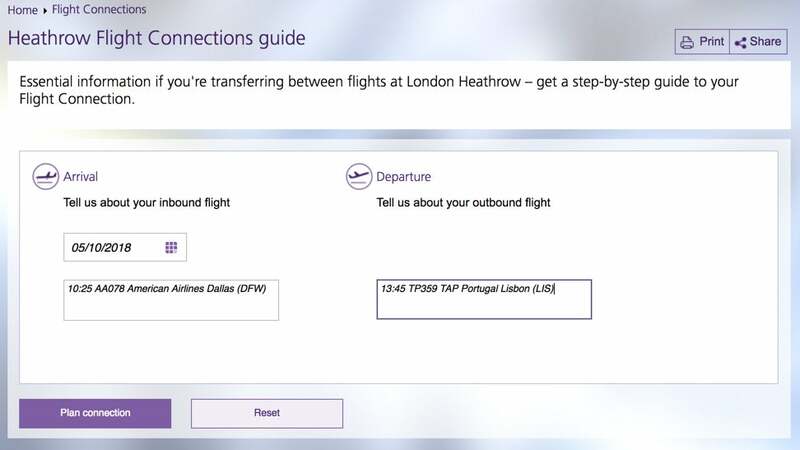 Just head to the Heathrow Flight Connections tool and input your flight information. The flight information should auto-populate as you type in the flight number (for example, type in “AA78” for American Airlines flight 78). Then click the “Plan connection” button. A Detailed Connection Guide Is Just a Click Away! After that, you’ll see your personalized connection plan. You’ll see an estimate for the time you need to make the connection. Along with how much time you actually have between flights. This is great for planning purposes, especially if you’re trying to squeeze in a lounge visit or something of the sort. The tool also offers an interactive map and information about shops, restaurants, and business and family facilites. It’s very informative! Have you ever used Heathrow’s Flight Connections tool? If not, give it a go the next time you’re planning a trip through this busy airport!